The Munzur Mountains and the River Karasu in the north and west and the Bingol Mountains and Peri Brook surround Tunceli, which is situated in the Upper Firat region of the Eastern Anatolia Region, in the east, with the Keban dam reservoir to the south. The land of the province being surrounded by distinct natural borders neighbours with Bingol in the east, and Elazig in the south, Erzincan in the west and north. The climate in Tunceli is usually as hot and dry in summer, damp and cold in winter. The precipitation is usually in the form of rain in the fall and spring, with it being snow in winter. 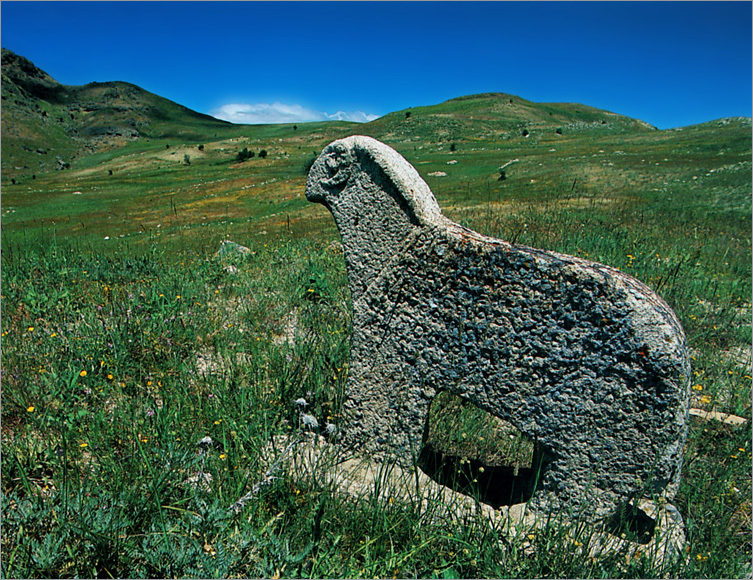 Many civilizations have lived in the Tunceli county since the early ages. The Pertek Castle from the medieval age, which is still in a good condition today, and Munzur Valley National Park are the beauties that must be seen. Artefacts from excavations conducted between the years 1968 and 1970 in the Pulur (Sakyol) tumulus which is now under the Keban Dam Reservoir in the south of the Cemizgezek county, indicate that the settlements were made in the Chalcolithic age (5500-3500 BC) in the county. Houses that resemble castles, stoves, mortars, various grinding tools, animal drawings, bronze needles and pickaxes and some metal items were found at the excavations conducted in the tumulus in Pulur. Cemisgezek, Hozat, Mazgirt, Nazimiye, Ovacik, Pertek and Pulumur are the districts of Tunceli province. Cemisgezek is situated to the west of Tunceli and 117 kilometres from the province. The altitude of the county is 953 meters. The ferryboats provide transportation due to the fact that parts of the original highway between Elazig and Cemisgezek is under the Keban Dam Lake. Hozat is surrounded by Ovacik in the north, the central county in the east, Pertek in the south and Cemisgezek in the west. The altitude of the county is 1520 metres The county seat is 96 kilometres from Tunceli. The Mazgirt District, which is 40 kilometres from Tunceli and 100 kilometres from Elazig, is found 10 kilometres north of the Tunceli – Elazig highway. Nazimiye, which used to be called “Red Church”, is the smallest county of the province. It is 36 kilometres from the province Tunceli and its altitude is 1550 meters. It is believed that Ovacik (which literally means little plain), which is situated in the north of Tunceli, was named after the 74 square kilometre plain between the mountains. It is the largest district of Tunceli. The transportation to the district is enabled through the land road, which goes along the Munzur Brook and full of the fantastic natural views of the Munzur Valley National Park. Pertek is situated in the south of the city centre and it is surrounded by the Keban Dam reservoir in the east and south. The central part of the county and Hozat surround it in the north and Cemisgezek in the west. 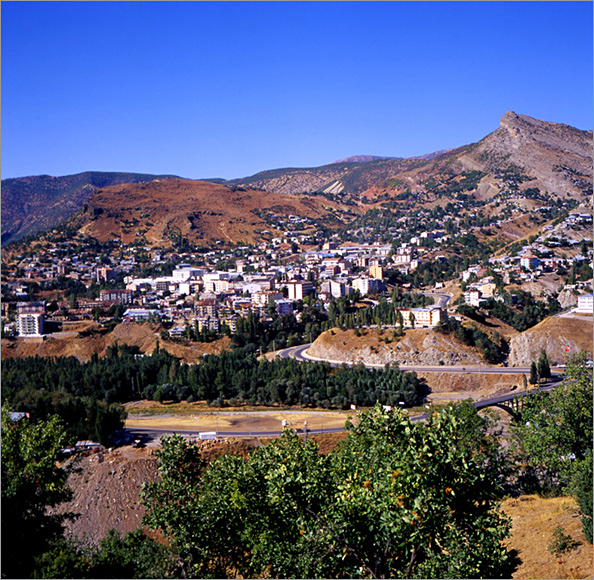 Pulumur is to the northeast of the Tunceli city centre. It is at an altitude of 1650 meters. The county, which is 65 kilometres from the city centre, is reached by the highway, which goes along the Pulumur Valley and Pulumur Stream and also connects the districts of Tunceli and Erzincan. The castle, which appears like an island is now submerged under the Keban Dam reservoir, it was built on a steep rock outcropping. The castle, which was built in the Seljuk era, was later repaired in the Ottoman era. There are many castle ruins from the Urartu era in Mazgirt District. These are namely the Malazgirt Castle, Dedebag, Kalekoyu and Sagman Castles. 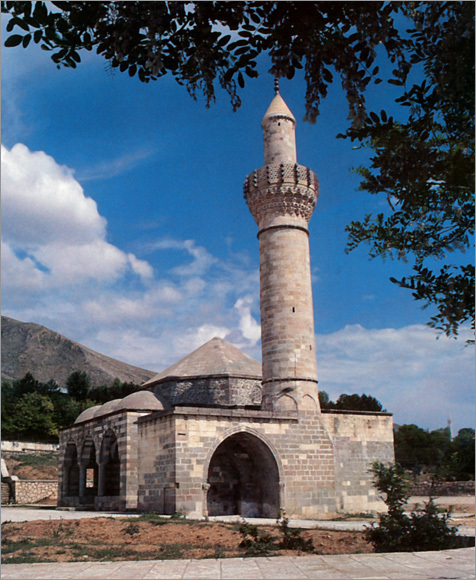 The Yelmaniye Mosque, Ulukale Mosque, Baysungur Mosque, Celebi Ali Mosque, Sagman Mosque and the Hamidiye Madrassa in Tunceli are from the Ottoman era and the Eltihatun Mosque is from the Akkoyunlu era. Uzun Hasan and Eltihatun tombs are from the Akkoyunlu era as well. The In Caves in the Cemisgezek District are from the Urartu era and they maintain interesting examples of natural rock architecture. 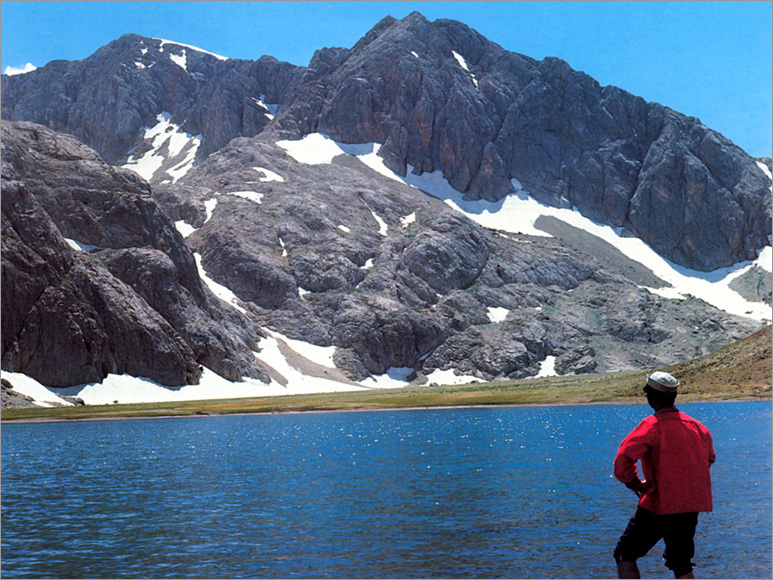 The plateaus, which constitute 25% of the Tunceli landmass, create a potential for highland tourism in the central and northern parts of the province. 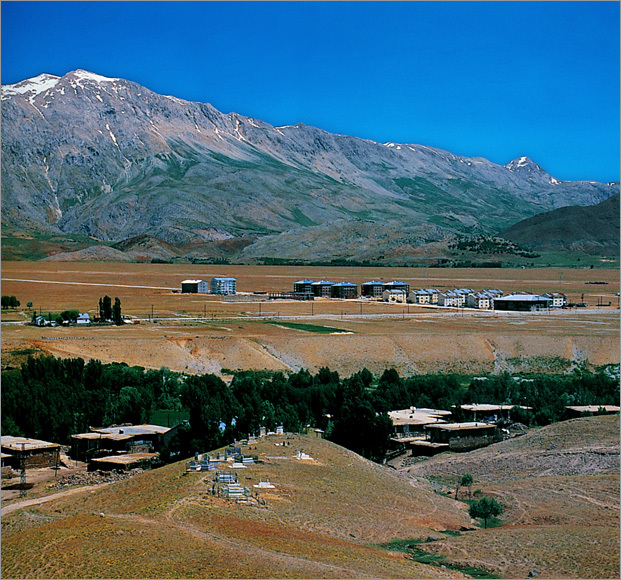 Because its vegetated, the value of the natural environment, scenery, transportation opportunities, and due to the fact that it is close to the other tourist amenities, Gozen village, Saritas, Gokcek, Karagol and Alacik highland in the central district; Saglamtas, Karagol, Yelekli, Dereboyu, Dagbek and Cakirkaya highlands in the Pulumur district; Koyungolu, Burnak, Egripinar, Pasaduzu, Gozeler and Mollaaliler highlands in the Ovacik district to the forefront. Munzur Valley National Park is 8 kilometres from Tunceli. Largely the Mercan and Munzursuyu valleys broke this mountainous area, which rises up 3300 meters in the north. The glacier lakes after the 1600 meters level of the Mercan Valley, the hot springs in the Ovacik plain beyond the mountains, small waterfalls along the valley are attractive examples from the landscape of the this National park. The hills and slopes are covered with oak tree forests. In the base of the valley, there is rich vegetation including walnut trees, alder trees, ash trees, plane trees, poplar trees, willow trees, and various bushes. The sharp and steep slopes are barren. The flora of the Munzur Valley National park, which is very rich in terms of vegetation, hosts 1518 types of plants are that are recorded there. 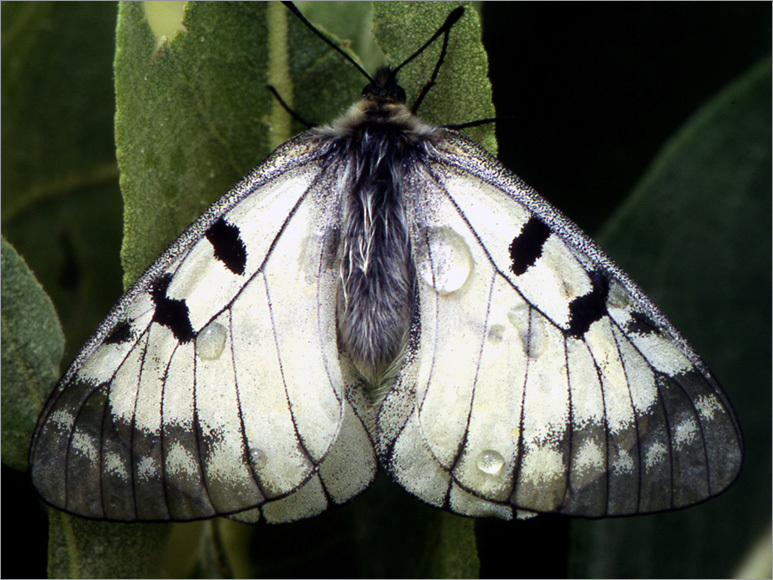 43 of them belong exclusively to the Munzur Mountains and 227 of them are typical specimens of Turkey. The endemic plants, which don’t exist anywhere, but Munzur Mountains include bellflowers, Erzincan cherries, Bindebirdelik otu (a special kind of herb), Munzur oregano, Munzur buttercups, Sideritis Montana, Munzur Mountain Pyrethrum, and Violets. There is a birch tree grove, which is the typical tree of the county, 1,5 kilometres below the Ovacik county Munzur springs, along the edge of Munzur Brook. Camping in assigned areas that wardens will direct visitors to are available for picnicking, or for sport fishing, walking and mountaineering which are all possible in the park. Since prominent continental climate conditions are dominant in the region, the most appropriate time period to visit the national park is between June and September. Ovacik springs are 80 kilometres from Tunceli city centre and 17 kilometres from the Ovacik county seat. Sparkling cold water, which cascade out as 40 small and large springs from the Karstic spring in a 200-300 meter wide area, flows forming small waterfalls and also forms the Munzur Brook. The natural environment formed by the Karstic rocks, springs and the Munzur Brook is truly unique piece of scenery. Halbori springs are situated on the Tunceli – Ovacik road, approximately 20 kilometres from the city centre, near the Munzur Brook and in a deep and rocky valley. These are cold springs, which emit very cold water. Zenginpinar waterfall, which is near the Tunceli – Pulumur highway, 40 kilometres from Tunceli, reaches the Pulumur stream passes under the road by coursing down steeply from the slope of the valley. The Zenginpinar Waterfall has very impressive natural characteristics with the richness of its vegetation and also the sheer depth of the valley. The dense forest around the Pulumur stream and on the slopes of the valley are the components that enliven the richness of the natural environment and scenery. The waterfall which is also known as “Gelin Pinari” (Bride’s spring) is in Dereova village, 46 kilometres from the city centre, 11 kilometres from the Nazimiye county seat. The water, which falls from a 20 meter height as 3 springs blends with the stream, which is a tributary of the Pulumur stream and flows into a very deep valley. The waterfall provides a coolness to the environment and offers a very impressive and different view both in summer as well as in winter. The stalactites and stalagmites that are formed by the frozen water of the waterfall in winter present a unique view. There is very steep landscape around the waterfall and short oak tree forests cover it. Munzur, Pulumur and Peri brooks flowing within the borders of Tunceli are suitable for river rafting because of their flow volume and speeds. Munzur mountain range to the north of Ovacik county, the hills are covered with oak trees to the south, Karasu - Aras Mountains whose height reaches up to 3292 metres and Bagirpasa mountains are suitable for mountaineering, trekking and also for skiing. The highest peak of these mountains is 3370 metres The most suitable time period to climb the mountain is between 15 June – 30 August. It is an extension of the Central Taurus Mountains lying around the Northern Anatolian and the South-eastern Taurus Mountains between the provinces of Tunceli and Erzincan. These mountains that consist of limestone rocks present a broken and jagged topography. There are many lakes and some permanent snow on them. It is predominantly covered with mountain meadows. To reach the Akbaba peak of the Mercan Mountains, visitors need to follow the Mercan stream from the north of Ovacik. To climb the peak, every mountaineer chooses a climbing path according to his or her climbing technique. 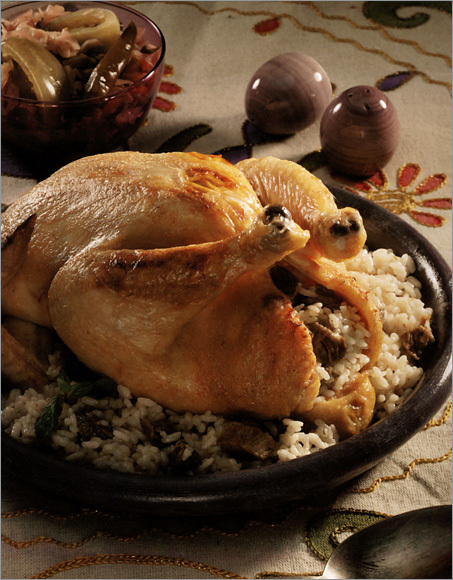 The local dishes of Tunceli, which has a very rich culinary culture, include zerefet (babiko), Sirepati, Keskek (wheat pulp), Kavut, and Patila as floury meals. The vegetable dishes of the area include, Gulik, a mushroom dish, Dogme soup, Dogme rice, Gulik soup, Guriz and dried vegetable dishes. Traditional desserts include Halva, mulberry dessert, Asure, a beet dessert, a pumpkin dessert, Heside (diluted mulberry molasses, flour and butter) and baklava. Local shopping in the county can find items like “cicim” which is similar to a picnic blanket with local designs woven by local young women and saddlebags in the souvenir shops. Natural Pulumur aromatic honey, which the honeybees produce with the pollen collected from numerous different flowers of the Pulumur Mountains is available for sale for both personal use or as gifts. The Ovacik garlic with a single clove, which grows alone in a completely natural environment on the mountains in the Munzur National Park, is a healing remedy and is sold at shops in the county of Ovacik and in the city centre. Savak cheese, which is very famous in Turkey, is made from the milk of animals that are fed with a variety of herbs grown in fields high in the mountains of Tunceli and there is demand for this cheese everywhere in Turkey.